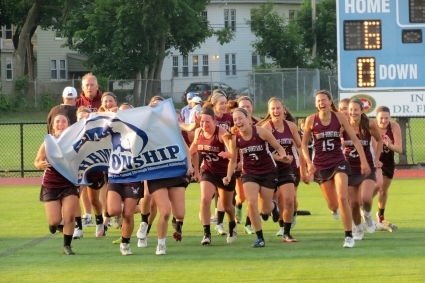 The 2015 and 2016 G-D girls lacrosse teams won the Central Mass Division II championships and went to the finals and semi finals of the state tournament. In both cases, tournament games had to be played elsewhere because tournament games must be played on synthetic turf. GDatPlay is committed to a Dual Surface approach to field renovations - a safe, sustainable and successful model used by hundreds of communities in the Commonwealth. We are actively analyzing alternative fill media for use in the synthetic field to replace the current natural turf at the GDRHS "stadium." Installing the synthetic turf field first allows more activity to be moved to this field while phase 2 improvements are made to existing natural turf. Synthetic turf costs 80% less to maintain than natural turf. It is not fiscally prudent to continue to have only natural turf surfaces in New England with the number of teams and sports our community encourages and currently supports.